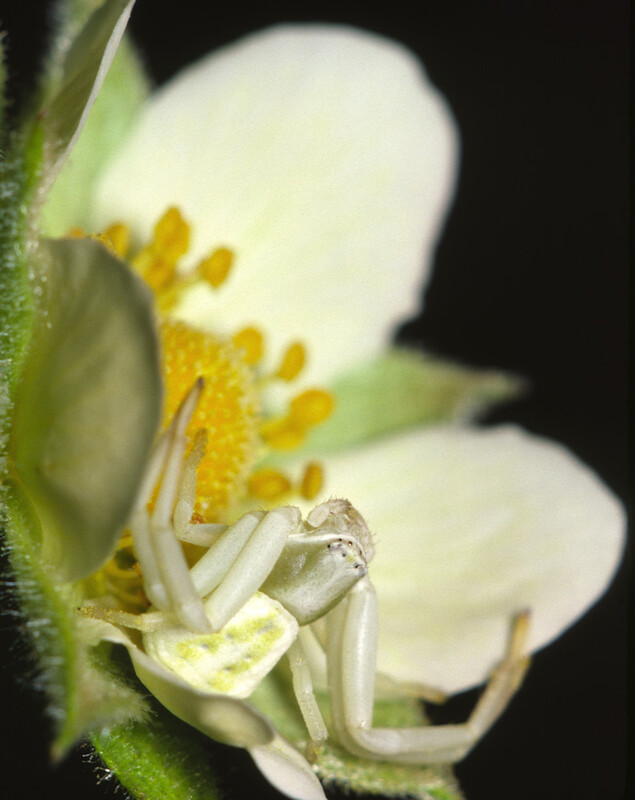 Crab Spider on Cinquefoil photograph for sale as Fine Art. A well camouflaged White-banded Crab Spider (Misumenoides formosipes) waits for prey on a sulphur cinquefoil flower (also called rough-fruited cinquefoil) (Potentilla recta). Whitebanded Crab Spider (Misumenoides formosipes) waiting for prey on a sulphur cinquefoil flower (Potentilla recta).